Dr. Boden is a tenured Professor of Orthopaedic Surgery at the Emory University School of Medicine and serves as the Director of the Emory Orthopeadics & Spine Center, Vice Chair of Orthopaedics, CMO/CQO of The Emory University Orthopaedics & Spine Hospital, and Emory Healthcare Physician Director of Strategy and Development for Orthopaedics & Spine Programs. 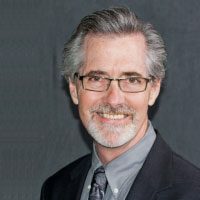 Dr. Boden has received numerous awards for his work and is the author of more than 175 peer-reviewed articles on spine and basic science topics; as well as 30 chapters and seven textbooks. He is co-editor of Seminars in Spine Surgery, a deputy editor of SPINE, and a reviewer for the Journal of Bone and Joint Surgery, the Journal of Bone and Mineral Research, and the European Spine Journal. W. Andrew Hodge, M.D., FACS, Chairman & M.A.B. Professor and Chairman Emeritus, Department of Orthopedic Surgery Rush University Medical Center, Chicago, IL. In 1985, he moved to the United States and Rush University Medical Center as professor of orthopedic surgery. His clinical area of interest is spine (neck and back), while his research interests are disc degeneration, epidemiology and occupational biomechanics. He just completed a program project on disc degeneration, funded by the National Institutes of Health. 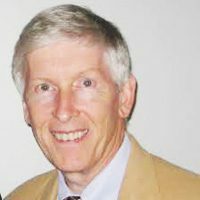 Dr. Andersson is a past president of the Orthopaedic Research Society, the International Society for the Study of the Lumbar Spine and the American Academy of Disability Evaluating Physicians and is currently president-elect and treasurer of the International Society for the Advancement of Spine Surgery. 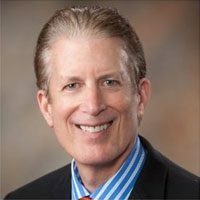 He has been a council member of the National Institutes of Arthritis and Musculoskeletal and Skin Diseases at NIH, chairman of the Research Committee at the American Academy of Orthopaedic Surgeons and a member of three Institute of Medicine committees. He is a fellow of the American Institute for Medical and Biological Engineering. 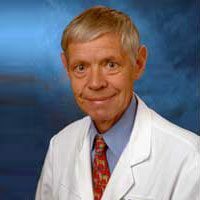 Michael Macmillan, MD., earned his medical degree at the University of North Carolina School of Medicine in 1980 before going on to complete his residency in Orthopaedic Surgery at the University of Florida and his fellowships at the AO Center in St. Gallan, Switzerland and in Spinal Surgery at the Southern Illinois University School of Medicine. He returned to UF in 1985 to work in the Department of Orthopaedics and has held several positions over the years, Clinical Instructor, Assistant Professor, and Clinical Associate Professor. He left UF in 1998 to work at the Jewett Orthopaedic Clinic and returned to UF in 2005. MacMillan’s clinical practice focuses heavily on complex limb salvage in the treatment of conditions such as bone cancer. He has contributed to 6 book chapters and has published more than 36 scientific papers in journals such as Clinical Orthopaedics and Related Research, the Journal of Spinal Disorders and the Florida Orthopaedic Society Journal. MacMillan was elected to membership in the American Association of Orthopaedic Surgeons and the North American Spine Society. He is also a member of several other professional organizations, including the American Academy of Orthopaedic Surgeons and the Florida Medical Association. 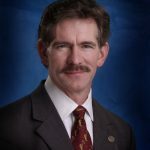 Mr. Brumfield has 36 years of experience in product development for Orthopaedics, Spine, and Extremities. He holds over 40 U.S. patents, many for products which have become part of “standard of care” surgical solutions, and is well-published in these fields. Having obtained his degree in Biomedical Engineering with honors from Louisiana Tech University, he began his career at Richards Manufacturing Company, which was acquired by Smith & Nephew, Inc. While there, he made significant contributions to many novel orthopaedic trauma products, including cephalomedullary nails. In 1991, Mr. Brumfield joined Danek Medical and was ultimately named Vice President of Product Development as the company became Medtronic Sofamor Danek. During his 15-year tenure there, he helped pioneer the use of titanium in spinal implants as well as minimally invasive surgical instrumentation, and was inducted into the Bakken Society, Medtronic’s highest technical honor. Returning to Smith & Nephew in 2006, he headed R&D for its trauma division and led that team in several novel developments, including a unique electromagnetic method for distal targeting of intramedullary nails and new biomaterial technologies for the treatment of difficult fractures, including securing a DARPA grant to develop completely resorbable fracture stabilization for diaphyseal fractures with segmental bone loss. In addition, he was responsible for Product Development & Regulatory Affairs for the business segment which included the Exogen ultrasonic bone healing system and Supartz joint fluid therapy products. In recent years, he has consulted for several emerging technology companies. Dr. Treharne has over 30 years of experience in the orthopaedic industry with over 15 years in senior management. From August 2006 to the present, Dr. Treharne has held the position of Vice President, Orthopaedic Research at Active Implants Corporation, a privately held orthopaedic company focused on innovative technologies for degenerative conditions of the joints. During his sixteen years at Medtronic Sofamor Danek, from November 1990 to August 2006, he served as a Group Director – Regulatory and Clinical Affairs for three months and then various Vice President positions for the remainder of his tenure, most recently as Vice President – Regulatory Affairs. He also held several director level positions at Smith & Nephew PLC prior to working at Medtronic. Dr. Treharne holds an M.B.A. from the University of Memphis, a Ph.D. and a M.S.E. from The University of Pennsylvania, and a B.S. in Metallurgical Engineering from The Ohio State University. Dr. Treharne’s experience in senior management and the orthopaedic industry provide strategic and practical knowledge to our Board related to regulatory, clinical research and other operational areas in our industry.